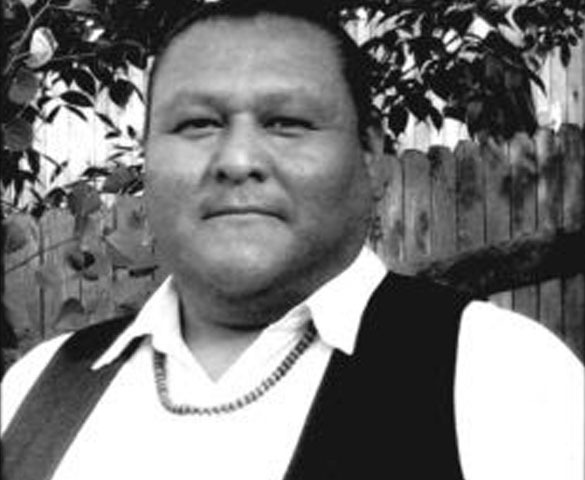 Crisosto Apache is Mescalero Apache, Chiricahua Apache, and Diné (Navajo) of the ‘Áshįįhí (Salt Clan) born for the Kinyaa’áanii (Towering House Clan). He holds an MFA from the Institute of American Indian Arts in Santa Fe, New Mexico. He is also the Associate Poetry Editor for the Offing Magazine. Crisosto’s debut collection, GENESIS, stems from the vestiges of memory and cultural identity of a self-emergence as language, body, and cosmology.